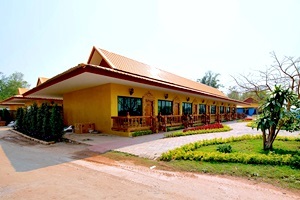 Nakaraj Nakhon Hotel Chiangkhong is located in Chiangkhong, opposite Nakaraj Nakhon - Laos, with Mekong river in between. 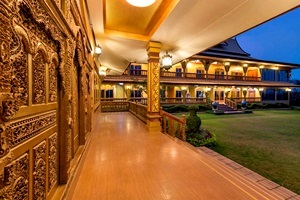 The hotel gives a unique experience, which offers more than just an accommodation where you can experience luxury and feel distinctively different from the surrounding areas. 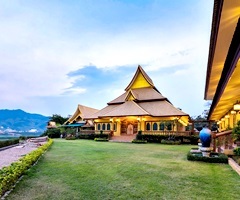 Chiangkhong is historically an important market town for local hill tribes and for trade with Northern Laos. 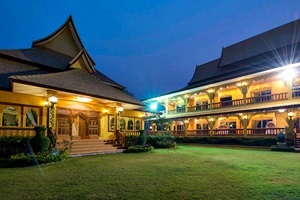 Today, the riverside town is a popular travellers' gateway into Laos. From Houayxai, on the opposite side of the Mekong, it's a two-day slow boat trip to Luang Prabang. 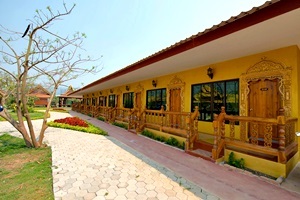 For those who have set their sights even further, Chiangkhong is only a 4-hour ride from Boten, a legal border crossing to and from China. 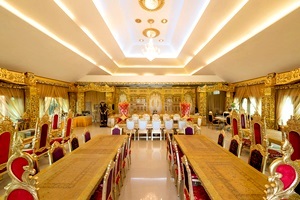 The hotel is surrounded by all kind of activities and supported facilities. 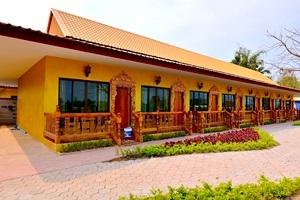 With a walking distance, you can find Lanna Market, a unique Thai shopping village concept, fine dining restaurants, seminar and conference facilities, organic farm, rice field, river front and boat activities, tropical fruit garden, boutique shops and many historic cultural attractions. 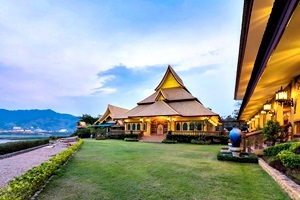 For dining, sample delicious cuisine in Angel Meals or Palazzo restaurants where a magnificent exquisite wine provides a distinguished setting and combines traditional tastes of rural Thai and International kitchens with fine ingredients from around the world. Feel at home in a contemporary Deluxe or Executive Room offering unobstructed Mekong river and Lanna Thai Shopping Village views.